Like most cities in the South of India, the people of Mysore take their dosas, idlis, and vadas very seriously. While there are many variations to these dishes, Mysore cuisine is deeply influenced by the Udipi style. But it isn’t all borrowed either. 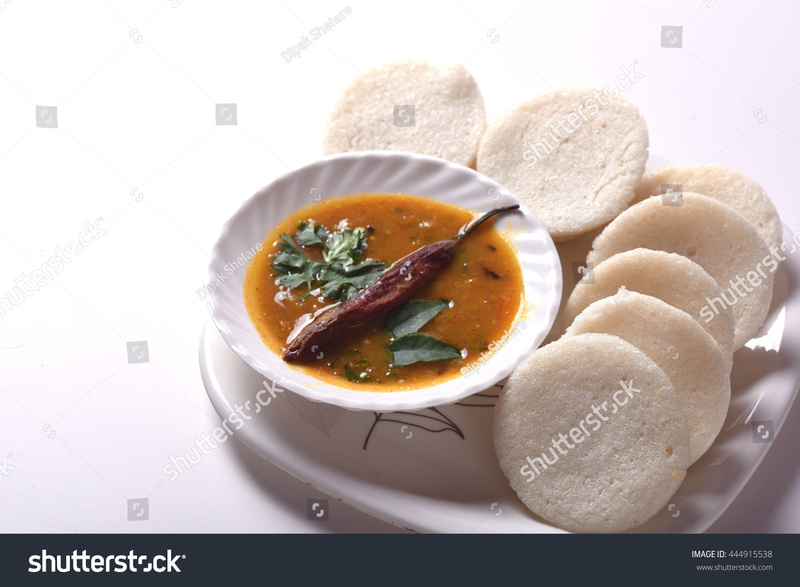 Idlis are steamed rice cakes that are generally served with a spicy lentil soup and coconut chutney (the spiciness of which varies). A favourite with the local crowd, idlis are mostly a breakfast item, though you’ll find many people eating them at all times of the day. In Mysore, you can see them being served in restaurants as well as on food carts in the market and commercial areas. Although it is generally made with rice, you’ll also find shops selling idlis made of semolina or even jackfruit. Some shops will also fry the idli (not traditional, but delicious). Price: Idlis are cheap, in the range of Rs. 20 to Rs. 60 a plate, depending on where they’re eaten. Where to Eat: Vinayaka Mylari in Doora. Vada is made from a mixture of black gram (lentil) flour, cumin, curry leaves, sometimes onions and chilli, and is deep-fried to a crispy crust. Like the idli, vada is served with a spicy lentil soup (sambar) and coconut chutney. The idli-vada combination (with one idli and one vada) is very popular for breakfast or for tea-time snacks. Price: Prices of vadas lie in the range of Rs. 20 to Rs. 60 a plate. Bonda, a ball-shaped pakoda or dumpling commonly eaten for breakfast or lunch. In Mysore, a famous variation is a potato (aloo) bonda (it made using mashed potato). Just like other breakfast local delicacies available here, Bonda is served with sambar and coconut chutney. A morning breakfast of Bonda is incomplete without a piping hot cup of tea. Price: A plate of Bonda costs around Rs.35 a plate. 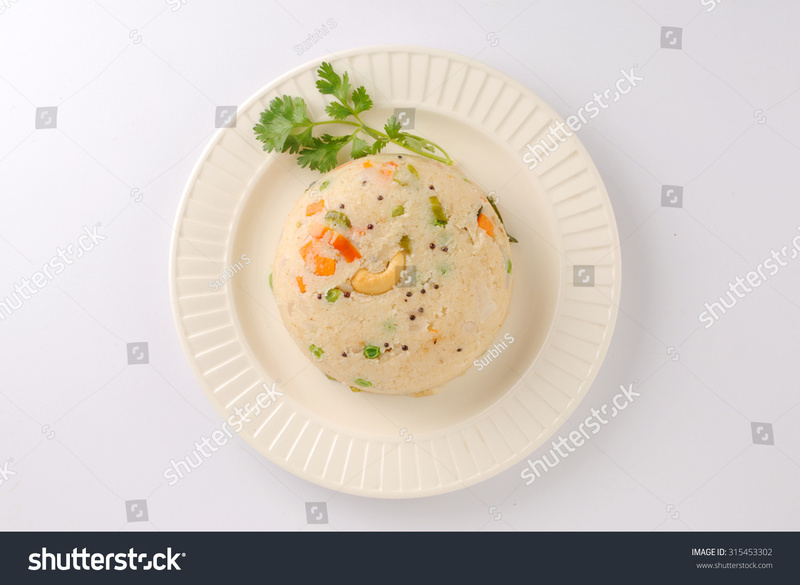 Khara Bath, also known as Upma or Uppittu, is a typical South Indian breakfast delicacy. 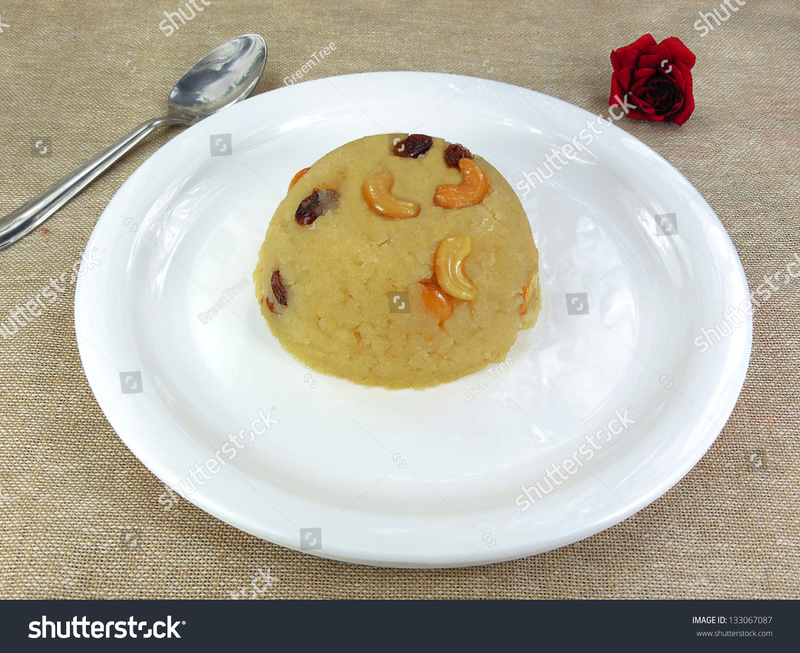 It is made from semolina and is roasted with vegetables and spices and topped with cashew nuts. It is just like a savoury porridge and is usually prepared with only a few spices. Khara Bath can also be eaten with coconut chutney. Price: Around Rs.40 a plate. Kesari Bath is what it’s called in Mysore, though you may know it as Sooji Halwa or Sheera (if you’re from North India, that is). A delicious sweet item, it is often eaten for breakfast. On Sundays, many restaurants will serve a pineapple-flavoured version. It is also served as prasad on festival days at temples. Uttapam is a thick rice pancake usually cooked with vegetables. Prepared on the spot, it is best eaten immediately (or it will be too soggy). Have it topped with onions or tomatoes, which are the most popular versions of the dish, and sprinkled with podi. A variation on the dosa, it’s a must-try. Poori is served for breakfast throughout India, in different variations. In Mysore, poori (or puri) saagu is what it is called. 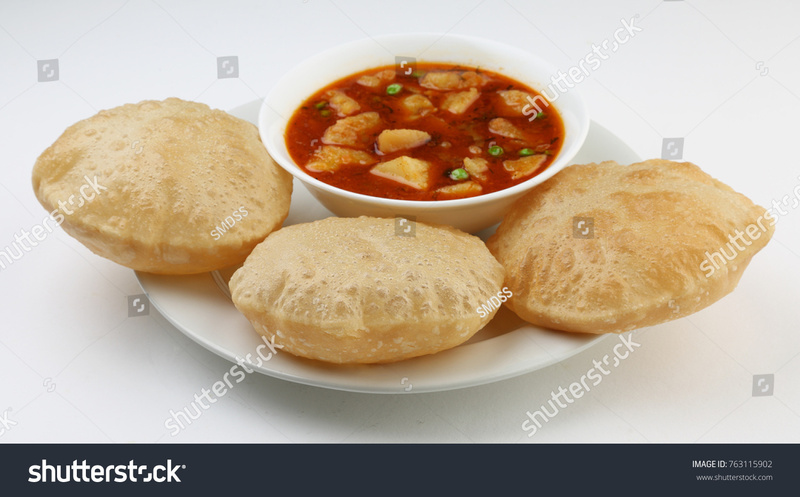 The dish consists of a soft, deep-fried puffed puri served with a flavourful vegetable curry. Price: Between Rs.35 and Rs.80 a plate. Although it looks like upma/kesari bath, Shavige bath has a different base ingredient. 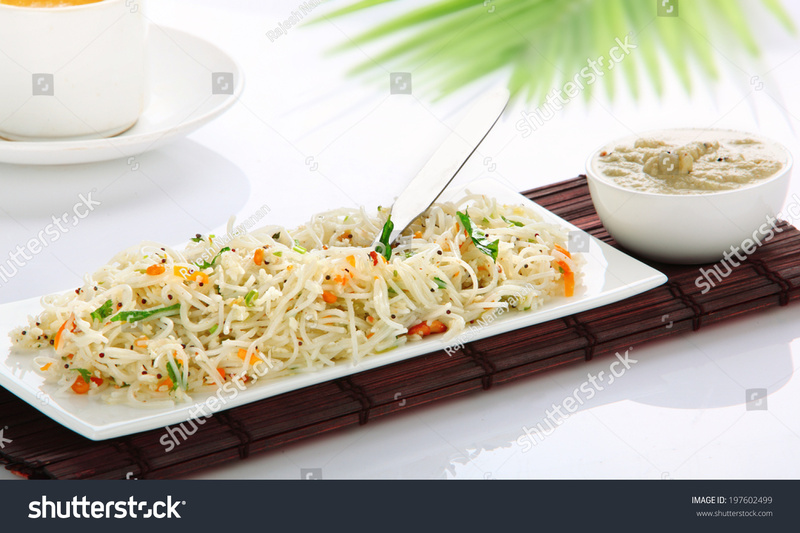 It is made from thin and light vermicelli, mixed with vegetables and nuts, and for flavour curry leaves, mustard seeds and turmeric are added. This light-on-the-tummy breakfast is usually served with coconut chutney. A lunch item, bisibelabath is a very popular dish in all of Karnataka. 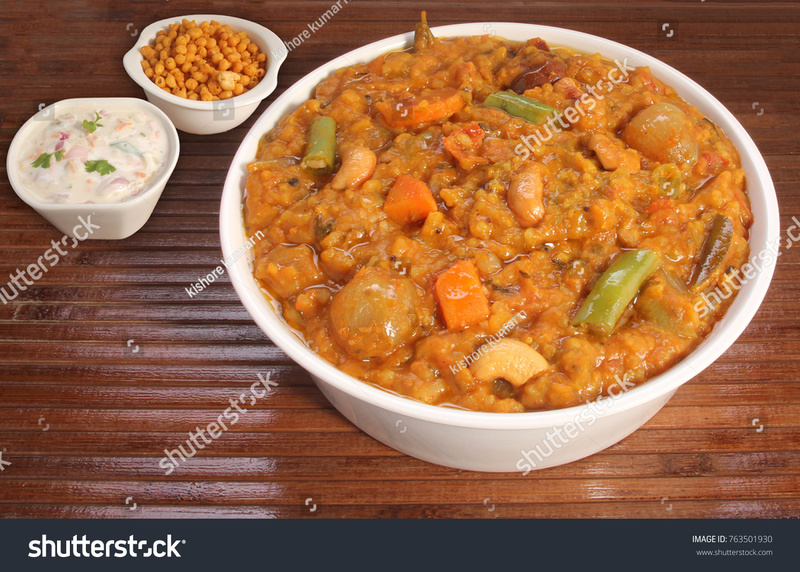 The name bisibelebath literally means hot lentil rice in Kannada. This dish is best eaten with boondi, chutney, salad, or potato chips. Price: Around Rs.50 a plate. 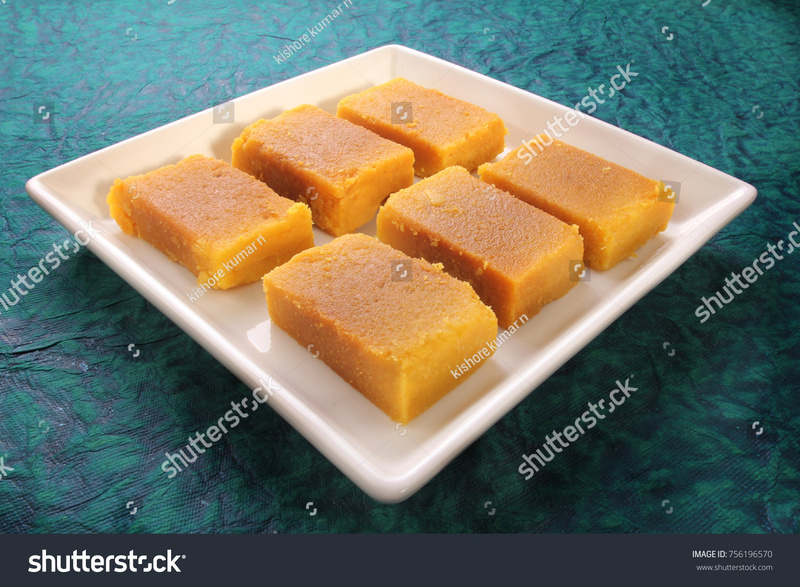 Historically known as Mysore Paaka, this incredibly sweet and incredibly delicious item was invented at the Mysore Palace at the time of the rule of Krishna Raja Wadiyar IV. Kakasura Madappa, a gifted royal chef, was the first to make this sweet. It is made using generous amounts of ghee, sugar, gram flour, and (occasionally) cardamom. Similar in texture to fudge, it is the most revered dessert in Mysore, served in most restaurants and sweet marts by the kilo. You’ve absolutely got to take some home. Price: A kilo of Mysore Pak will cost you about Rs.400. A creamy rice pudding that’s flavoured with cardamom and topped generously with nuts, the South Indians call it Payasam. It’s a great dessert at any time of the year, but is typically eaten only on grand occasions, such as weddings and big festivals. 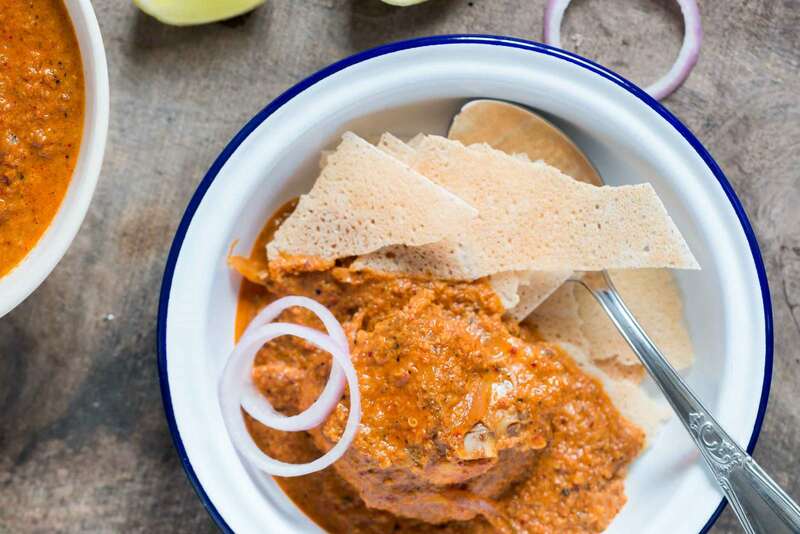 This dish is also known as Mangalorean Chicken Curry. Succulent pieces of chicken cooked in finely ground fresh coconut with spices.Although native to the Bunt community that resides in the Mangalore area, it has become a favourite of meat-eating communities in Mysore. Kori Gassi is best eaten with neer dosa or rice. Mysore presents visitors to the city with many options when it comes to food. The above list is restricted to those we feel you must try. Don’t be shy to look for more options in the City of Palaces. Let us know what interesting items you enjoyed in the comments section.